My Xbox 360 is off at the repair center, meaning my main platform for next gen gaming is gone for the time being. So...what is a guy to do? The Wii is fun in short bursts playing RE 4, but I need something else. Something to add to the experience. For that, I turn to my previous generation consoles. Considering my lack of a 360 at the time (thus no Forza 2 addiction), I've had time to catch up on a lot of last gen classics, particularly those for my good old Xbox. If you've been reading my blogs, you know that I have a job working at a local GameStop. This also means I get a discount. Since the Xbox 360 launched, original Xbox game prices have dropped significantly. This means you can find a bunch of great games by raiding the bargain bin. Which is exactly what I’ve been doing. At the store I’m working at, we have a bin set up in the front for all used Xbox games that have dropped to under ten dollars. It’s amazing what you can find in there if you look hard enough. Over the past couple weeks, I’ve found a bunch of great games, most of which were five dollars or less. Below is a list of the games I’ve purchased and their prices. Some of which may shock you as much as they did me. Unreal Championship 2: $4.99 – This game is a blast to play even by yourself. The online servers are pretty vacant right now, so I’m looking for a couple of folks who have the game to play with on Xbox Live. Sega GT 2002/Jet Set Radio Future Combo disc: $1.99 – This one was a shocker. Two great games (especially JSRF) for only two bucks? There was no way I was going to pass this one up. Buffy The Vampire Slayer: $4.99 I just got this yesterday and I gotta tell ya, I’m hooked. It’s a fun little beat em up that’s really addictive. I remember wanting to get this when it came out in 2002 but never got around to it. I’m glad I finally did. Max Payne 2: $1.50 – Another shocker. This game was a complete blast to play through and had a great storyline that had me gripped from beginning to end. At a price this low, considering how much fun I’m having with it, I would’ve been a fool to pass this up. Crimson Skies: High Road to Revenge: $3.99 – I haven’t played this yet, since I’ve been playing Buffy so I can’t attest to its quality just yet. But hey, it scored an 8.9 here so I don’t think I’ll be disappointed. And there you have it folks. Six great games for less than 15 bucks (when I factor in my discount) with an average score of an 8.6 between them. Now that’s quality gaming. If you’re a gamer on a budget or simply looking to pick up some games that you might have missed over the past few years, check the bargain bin. You’d be amazed at some of the gems you can find there. Weekly Update: Gran Turismo 4, Pokemon Battle Revolution Impressions and OMG! Halo 3! To kick things off, I'm going to be a bit late with my Pokemon Pearl review. I just haven't had the time to really get my thoughts together. I'm going to try to finish some of it tonight and perhaps I'll have it posted tomorrow. For now, I'm hoping my Crackdown and Fuzion Frenzy 2 reviews are substantial. Between Pokemon Pearl, Forza Motorsport 2, Resident Evil 4: Wii Edition, and Pokemon Battle Revolution, I've got a lot of reviews ahead of me. So, onto those first impressions. I'll start with Gran Turismo 4. I bought it on Saturday of last week and I've been playing it off and on since then. I wanted to see what all the fuss was about and at 11 bucks, I couldn't pass it up. Well, it's as good as I thought it would be. The car selection is excellent despite the fact that there's no Ferraris, Lamborghinis, etc. and the track selection is great. I haven't gotten deep into the career mode yet, as I'm still plowing through the B class License tests. Vehicle handling is as good as I expected. Being weaned on the Forza series' dynamic driving line, it took me a while to get used to driving without it. Naturally, until I got used to driving without it, I did very poorly in races. Over time, I've gotten used to the game without it and I've improved significantly. I'll have more to say about it once I delve deeper into the game but so far, I like it. On to Pokemon Battle Revolution. I'm having mixed feelings about this one. On one hand, it is fun to battle with the Pokemon I trained in Pokemon Pearl on the big screen and the online opposition is certainly promising (for the record, I haven't played it yet). On the other hand, aside from the battles, there's no minigames to play and no other modes. Seeing your Pokemon in 3D is cool but it's going to get old eventually and if you don't have a copy of Diamond or Pearl for the DS, you can kiss the DS connectivity options goodbye and in those respects, the game is a bit shallow. But, if there's one thing the game does right besides the battles themselves and the online throwdowns, it's the graphics. For a Wii game, these graphics look pretty damn good. I'd place it up there with Resident Evil 4: Wii Edition visually. I wouldn't say it's better than RE4, but it's certainly one of the best looking games available for the Wii. On to Halo 3. While I was picking up GT4 and checking out PBR from work I preordered my copy of the Halo 3 Limited Edition. I was considering going all the way and getting the Legendary Edition, but I don't really feel the need to. Perhaps I'll upgrade my reservation to the Legendary Edition nearing release, once the hype gets to me. I might be picking up the Halo 3 Zune later this week, provided I don't get it for my birthday later this week. By the way, if you haven't seen the new Halo 3 screen shots at IGN, you really need to go check em out. 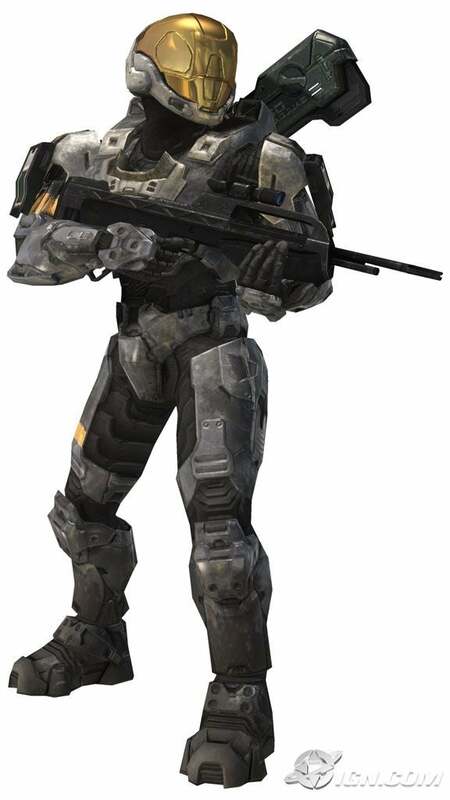 They showcase the new, customizable, Spartan armor. Yes, you read that right. 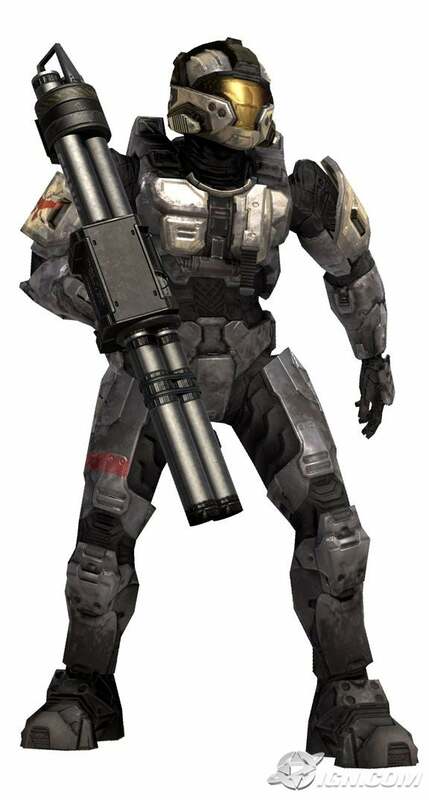 The Spartan armor in Halo 3's multiplayer component is now fully customizable. There are now three main types of armor to choose from. The basic MJOLNIR armor we all know and love and two new suits, dubbed EVA (Extra Vehicular Activity) and CQB (Close Quarters Battle). There's also been hints that there are even more armor permutations that haven't revealed yet. Graphically, this looks a bit better than what we've seen in the Pubic Beta that concluded earlier this month. It could just be me, as I'm likely blind from the slew of new info and screens about Halo 3, which is my personal most anticipated game of the year. While it's not close to the best the Xbox 360 can offer, it sports a clean look that I can't stay mad at for long. Keep in mind that footage of the single player campaign hasn't been shown yet and typically, single player campaigns tend to look better than their multiplayer counterparts, so we'll soon see if Halo 3 can hang with the likes of Gears of War.